The second Global CemProcess Conference on process optimisation in the cement industry has successfully taken place in London, with 70 attendees from 20 countries in attendance, followed by a visit to the Breedon Group Hope Cement plant in Derbyshire. The 3rd CemProcess Conference will take place in 2020, at a location yet to be announced. 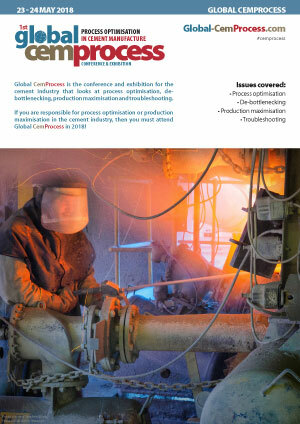 At the start of the 2nd Global CemProcess Conference on process optimisation in the cement industry, Fabio Barros de Carvalho of Accenture, and co-authors from Votorantim, spoke about a roadmap for the cement industry towards Industry 4.0. Through a series of interviews, workshops and focus groups, Accenture found out Votorantim’s ‘pain points’ and priorities for core technologies, which were then prioritised and subject to further study. Characterisation of raw materials, allowing for smart reclaim from stockpiles, was among the most pressing of needs. Another need was to inventory raw materials, fuels and other inputs and to derive financial information automatically. Full availability of information on each piece of equipment, in a hand-held form such as phone or iPad, was also requested. Smart warehouse management, AI applied to various plant problems and the increased availability of forklift trucks were also mentioned. Each concept was costed and further prioritised towards achieving a joined-up-thinking cement industry. Marie O’Grady-Hills of ABB Switzerland Ltd next spoke about advanced process control (APC) for cement production optimisation. APC stabilises the system, and then makes more but smaller changes to the process to optimise it. “It’s like having your best operator driving the system 24 hours a day,” said Marie. ABB’s Expert Optimiser control system uses model predictive control, fuzzy logic, rule blocks, soft sensors and/or sequential functions to control different parts of the plant, such as raw mills, pyrosystem and fuels. ABB also offers a knowledge management system, which has been adopted by both LafargeHolcim and CRH. Matthias Mersmann of aixergee Process Optimisation spoke about the melding of data-driven and model-driven approaches to process optimisation. Matthias introduced a new means of visualising an algorithmically-derived data matrix, which finds correlations between process variables. A dynamic model process flow sheet can then be set up to model the process. These results can be used to construct a CFD model, results from which can then be fed back into the flow sheet in order to derive a better pyroprocessing configuration. Arnaud Pujol of apbp Consulting GmbH next pointed out that deposit modelling and quarry planning can lead to better control of emissions, increased production and reduced thermal energy consumption. Arnaud gave a specific example of a cement plant that was production-constrained by the amount of CO that it was allowed to emit. A single stratum of high TOC (total organic carbon) limestone occurred in the quarry, which was mixed in with other materials due to the original mining method which involved mining the deposit with a single bench and combined rock pile. A quarry block model was used to plan mining, with three benches, in order to allow blending of materials to reduce the TOC of the final raw material. In this case, by changing its mining method, the plant was able to control its CO emission, to increase its production and to reduce its fuel consumption. Dirk Woldt of DALOG Diagnosesysteme GmbH next spoke about proactive failure prevention and optimised mill performance. He pointed out that the sequence towards more sophisticated condition monitoring is from reactive, to preventative, to predictive, to proactive and finally to enterprise-data-driven maintenance. Proactive failure prevention will extend machinery lifetime, while predictive failure detection will minimise unplanned stoppages and will avoid secondary damage. Process monitoring, condition monitoring (acceleration sensors, speed sensors, oil particle sensors) and torque monitoring are all crucial data inputs into the machine protection concept. 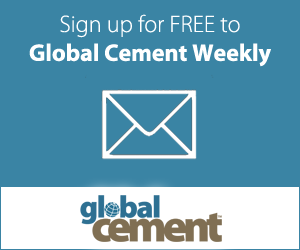 Dirk gave a number of powerfully persuasive examples from real-world cement plants. Pierre-Marie Maurice and Olivier Lerasle of Total Lubrifiants next spoke on the global benefits of transparent open gear lubricants. The latest high-viscosity oils, in operation since around 1990, have high performance, but tend to be difficult to pump at low temperatures. Total’s new Gearfluid transparent lubricant is being promoted for open gear lubrication, while Grafolog is a black grease for the same purpose. A special cleaning fluid can be used to allow users to swap between the two. Klaus Leidenberger and Scott Coley of Coperion next spoke about the use of wear-protected DuroProtect rotary valves for pneumatic conveying of highly abrasive materials in the cement industry. In order of increasing abrasiveness, the following materials might be conveyed: chalk, limestone meal, alumina, coal dust, flyash, dolomite, cement and slag. Hard chrome steel, tungsten carbide wear parts and ceramic reinforcements can all be used to protect equipment from wear. Ceramic-lined rotary pumps can be used for the most abrasive materials, but they are limited to a maximum temperature of 150°C, since the ceramic liner is glued into place and the glue is unstable at higher temperatures. A return-on-investment (RoI) calculation for a wear-protected rotary pump at a US plant showed a payback period of less than one year. Nick Sutherland of Welding Alloys Group gave the final presentation of the first day of the conference, on hard-facing of vertical roller mills rollers and tables, using MillCarb welding materials. The addition of alloying elements to welding materials can increase hardness and increase abrasion resistance, but it can also increase the brittleness and will increase the costs. Frequent refurbishment cycles of worn components can limit the lifetime of the base material so that the longevity of hard facing is crucial. Welding Alloys has developed the MillCarb re-weldable solution, which provides a welded matrix with embedded ultra-hard ceramic particles. The microstructure of the weld has been developed to provide an optimum grain size distribution of ceramic-metal particles. The metal matrix further provides a shock-absorbing bed to reduce brittleness. At the end of the first day of the conference, participants including delegates from the cement industries of 20 countries enjoyed a riverside tented barbecue in typical British summer weather at the exclusive Oakley Court Hotel in Windsor. On the second day of the conference, Andy Hill of new company Cynosure Ltd gave an overview of European SRF (solid recovered fuel) developments. Andy started by mentioning the effect of Brexit on alternative fuels, and suggested that the cost of moving a tonne of alternative fuel into the EU will increase by around Euro6. European emissions of CO2 are now 11% below the EU ETS cap, leading to a Euro5 price over the last few years. However, the scheme has been tightened, and carbon permits are now closer to Euro15/t. The EU wishes the carbon price to increase to Euro50/t by 2030. China has banned various waste and recycling streams from abroad, and this has led to backlogs in source areas, particularly in Europe, as well as the collapse of recycling contracts and the closure of MRFs (material recycling facilities) that cannot take more materials. In response, a variety of initiatives have been undertaken to reduce the use of plastics and other potential source materials for RDF and SRF. China may eventually reopen its borders to recycled materials, including waste-derived fuels, but this will be on China’s terms, and at a significantly higher quality level. Andy pointed out that cement is not the only game in town, in that many other industries can potentially use AF. This is likely to lead to upwards pricing pressure on AF in the medium to long term. Kevin Rudd of Independent Cement Consultants Ltd gave delegates advice on how to avoid cement plant troubles by properly completing Factory Acceptance Testing (FAT). Factory Acceptance Testing is essentially about making sure that the equipment that is delivered to the site is ‘fit for purpose.’ FAT tests might include dimensional checks, material traceability, non-destructive testing, inspection of drawings, verification of design and manufacturing standards, examination of fabrication records, ensuring the calibration of measurement equipment and ensuring the suitability of the design for the application. Kevin underlined the fact that the regime for FAT should be agreed during the contract phase. Customer witness and hold points should be agreed at all points during the manufacture of the components. The maximum number of defects should also be agreed prior to manufacture, with criteria agreed for when rework or scrappage will take place. Tahir Abbas of Cinar Ltd started the session on pyroprocess optimisation with a paper on how to modify calciners in order to be able to burn 100% pet coke. Cinar uses MI-CFD, using mineral interactions and multi-fuel combustion models in order to model and then modify burner vessels. Typically the process takes 10-12weeks, and often has a payback of a few weeks. Each calciner is unique, so the suggested modifications are bespoke as well. Tahir mentioned that a new compact calciner has been designed with PM Technologies for medium-sized AF, which produces low NOx and CO. The calciner is currently being installed and commissioned at the LafargeHolcim Sokhna plant in Egypt. Felix Bartknecht of SICK AG next gave a presentation on continuous mercury emissions monitoring. Approximately 10% of all man-made emissions of mercury come from the cement industry, from fuels and from raw materials, and worldwide the cement industry produces an average of 35mg of mercury per tonne of cement. Today’s measurement methods can only detect elemental mercury, so that any chemically-bound mercury must be liberated through reduction before measurement. SICK prefers to use atomic absorption spectroscopy with integrated Zeeman cross-sensitivity correction within a high-temperature cell, for continuous monitoring of total Hg. Felix described a measurement unit that is capable of receiving gas streams from different locations to allow semi-continuous monitoring of more than one process point. Mercury emission abatement strategies include the substitution of raw materials and/or fuels, or the use of flue gas treatment systems and filter dust shuttling. Mercury-enriched ESP dust may be used as a cement additive (breaking the mercury circulation cycle), or might simply be disposed of. SRC or wet scrubbers can also be beneficial for Hg removal, as is activated carbon injection. Mercury desorption technologies (such as those from Scheuch and thyssenkrupp) may also be used, where the dust is ‘cooked’ with hot exhaust gas, to drive off mercury to allow it to be captured: the low-mercury dust can then be reused. Dirk Schmidt of KIMA Echtzeitsysteme (now KIMA Process Control) next spoke about the KilnCooler system for cooling kiln hot spots. Dirk started by saying that the conventional way to cool kiln hot spots is to use air fans to create a new coating to protect the refractory, but that this cools the entire diameter of the kiln, at high electrical expense and with the production of a high level of noise. However, KIMA uses an ‘artificial rain’ from a series of infrared-sensor-controlled sprayers to cool a precise section of the kiln. The sprays are only used up to 500°C, since according to experts, ‘as long as water cooling is used at temperatures less than 600°C, there will be no harm to the microstructure of the steel.’ The cooling of a specific section of the kiln will reduce thermal expansion of the kiln shell, and will reduce kiln ovality and distortion of refractories. The cost of using the water sprays is a fraction of the cost of using air blowers, and is quiet enough to be used in plants that are surrounded by residential areas. At the start of the final session, on logistics optimisation, Paul Flachskampf of INFORM spoke about improving the connection between production, the loading yard and cement distribution. His company’s algorithms optimise the use of transport assets, through the maximised use of trucks and reduction in standing or idle time. This results in a detailed time-slot schedule which can be published the night before, to allow drivers to plan their own routes to be at the plant on-time, not before and not afterwards. Such a plan may be updated with real time progress information from individual trucks if it is available. The penultimate presentation was given by Oliver Kurtnacker of Axians Industrial Applications and Services GmbH, on the VAS software system for cement loading optimisation. The system is used for control of in-plant vehicle movements and loading, and has been used to optimise the movements of over 1000 vehicles on a site in a single day. Mark Mutter of Jamcem Consulting gave the final presentation, on plant operator development and training, including the use of the CKS cement kiln simulator. The simulator is customisable to each plant, and can closely emulate the process variables of each system. The use of the simulator is just one part of the plant operator development package offered by Jamcem. At the conference farewell party, a number of prizes were awarded. Mark Mutter of Jamcem was awarded fourth prize in the best presentation category, while Matthias Mersmann of aixergee was third for his paper on pyroprocessing optimisation. The authors from Coperion, Klaus Leidenberger and Scott Coley, were awarded second place for their paper on wear-protected valves, while Dirk Schmidt of KIMA was the winner of the best presentation prize for his paper on smart kiln cooling. Delegates took part in a well-received and well-organised tour around the Breedon Group's Hope cement plant on the day after the conference. At the end of the event, delegates commended the conference for its organisation, useful technical content and networking opportunities, and agreed that Global CemProcess should next take place again in 2020.